The Ultimate Infograpic: What is Vendor Management? Vendor management. Third party risk management. What does it mean? Vendor management is both a science and an art - you need to have a process and be ready to be creative when needed to protect your financial institution. 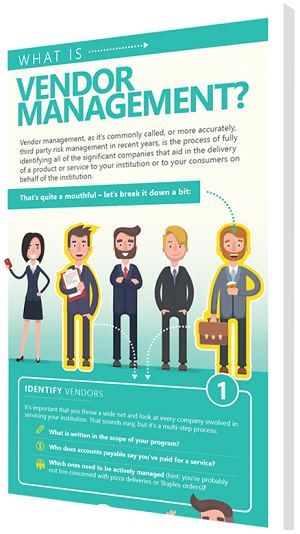 In this infographic, we break vendor management down into 8 key steps.